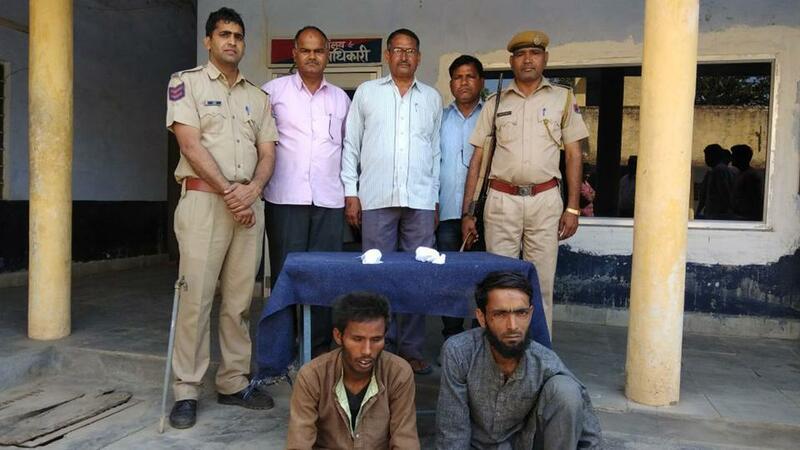 Jammu, Aug 10: Two smugglers were arrested and 34 head of cattle rescued in four separate incidents in the Jammu and the Rajouri districts of the state, police said today. A police team intercepted a truck in Moralian area in the Jammu district and rescued 20 animals from being carried to Kashmir Valley today, they said. Two men - Jagmohan and Mohammad Aslam - were arrested and a case registered against them, they said. In a similar incident, a police team rescued 14 animals in the Rajouri district last night, they said, adding the smugglers managed to escape.